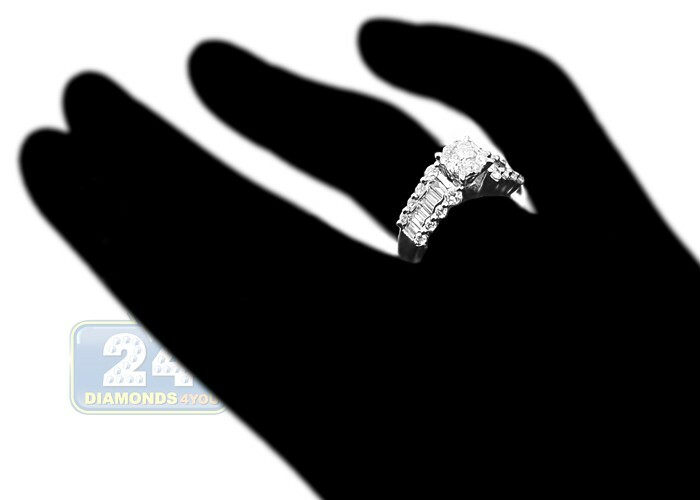 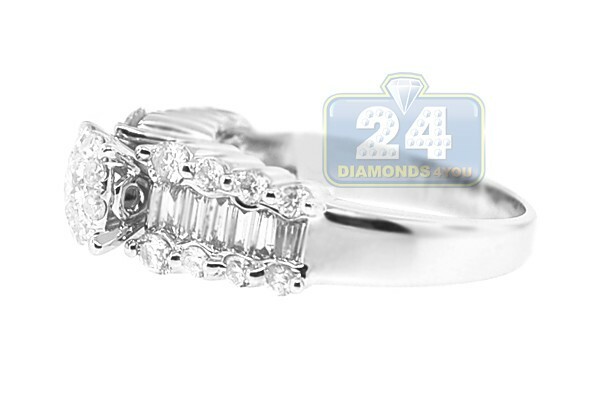 This exquisite engagement ring sparkles with fairy diamonds and features the unique & rich design. 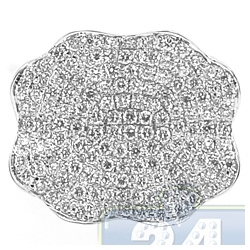 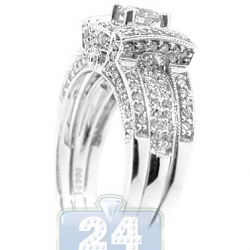 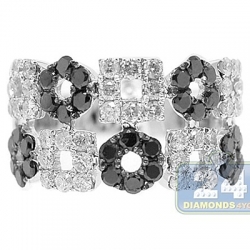 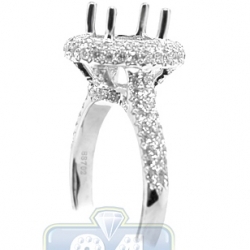 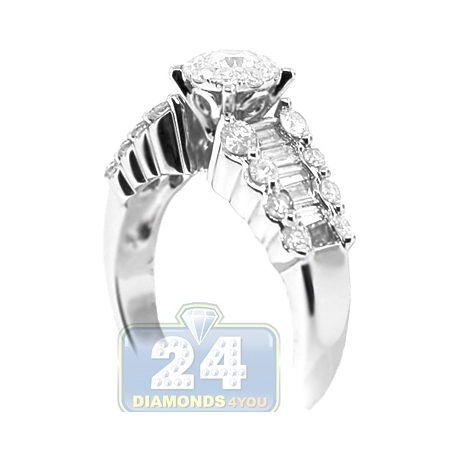 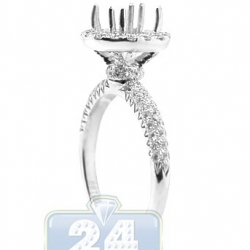 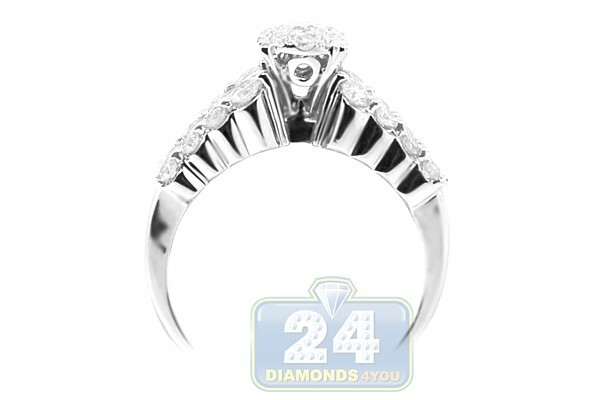 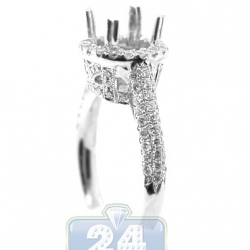 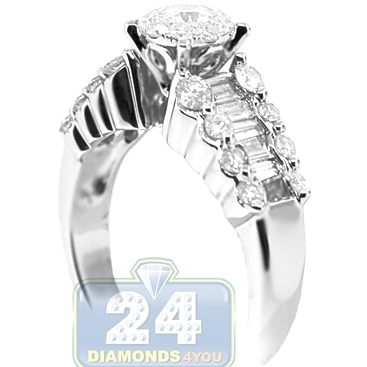 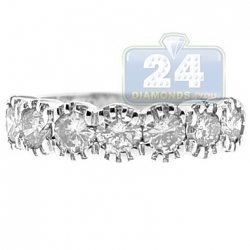 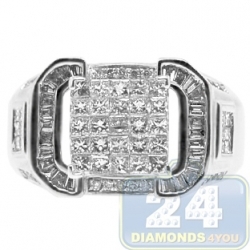 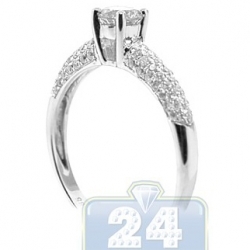 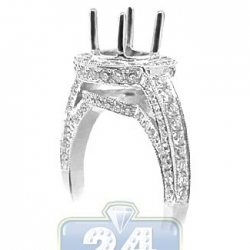 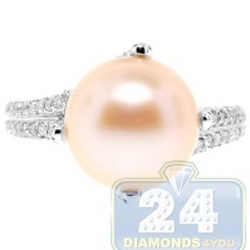 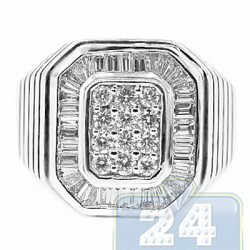 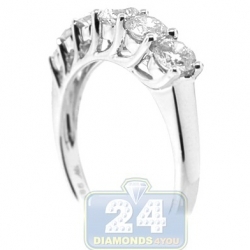 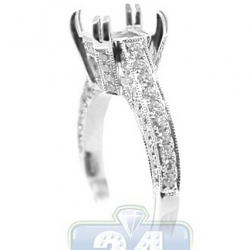 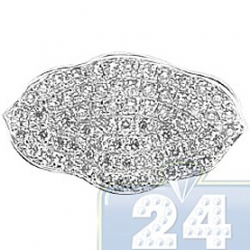 It's setting is professionally handmade of royal 18k white gold with shiny polished finish. 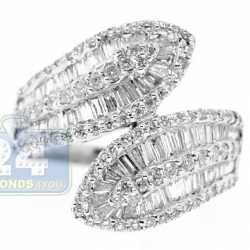 A delicate crown holds amazing round shape cluster of diamonds in the center... gorgeously sparkling baguettes (0.42 carat) are surrounded by icy white round cut diamonds (0.88 carat) adding a splendid touch to the look!